Football draws the eye of the world and this last week’s European Championship in France was no different. The eliminations of Belgium and Germany surprised many in the football community and lead to the grand finale between Portugal and France. There’s a classic saying in football that it’s a game between two teams for 90 minutes and in the end Germany wins. This time that didn’t happen. As much as a shock it was for football fanatics like myself, I love these kinds of tournaments! Now that Premier League is just around the corner, I’ve realized that there are many similarities between being successful in football and building a GREAT product. This is really the foundation of everything you do. There is simply no way to build something great in two weeks that will last in the long run. Almost every year, there’s one or two teams in the Premier League that surprises everyone and stands out in the beginning of the season. Unfortunately, they usually fall behind later and end up in the middle of the table. However, last year Leicester beat the odds and won the Premier League. Prior to this, their highest ever finish was second place in the top flight, Division One, in the 1928-1929 season. By some measures it was the greatest sporting upset ever; multiple bookmakers had never paid out at such long odds for any sport! The success behind Leicester is simple, they show up each day and work hard. They had a dream they wanted to fulfill and they made it happen through pure determination and grit. Although a small country with just 11 million inhabitants, the Belgium team held the second place ranking in the world for much of this season. I believe that one of the reasons for their success is because of Marc Wilmots, their head coach. We all have our strengths and weaknesses, but by being aware of them we can utilize them in the most optimal way. This goes for building products too. Naturally, in terms of staff but also in the tools we use. Proper utilization of server equipment, software, and picking the proper framework can mean the difference between success and failure. Even smaller than Belgium is Iceland. It’s population is just above 300k – about the same as the city of Malmö, Sweden. It was a massive success for a nation of Iceland’s size to just qualify for the Euros and they even did it by beating Holland (twice!). So imagine the surprise when they got through to round 16 and beat England – ironically same week as #brexit making it a tough week for my English friends! The Icelandic team is aware of their strengths and weaknesses, but their real success lies in how well they work together. While they might not be as technically skilled or have the same physique, their mental determination makes up for it. A friend, who’s Icelandic, describes the mental attitude of Iceland as one where it’s OK to fail – as long as you give it your best shot. I have always stressed the importance of doing your own thing rather focusing on what others are doing. You don’t want to imitate them, but innovate upon what everyone else is doing. It’s crucial to understand your competition’s strengths and weaknesses. The fastest way to failure in both football and tech is underestimating your competition. Microsoft didn’t see Apple as a threat just as none of the bigger teams saw Leicester as one. While Leicester celebrated, you can trust that the other teams looked back how they allowed themselves to underestimate their competition. 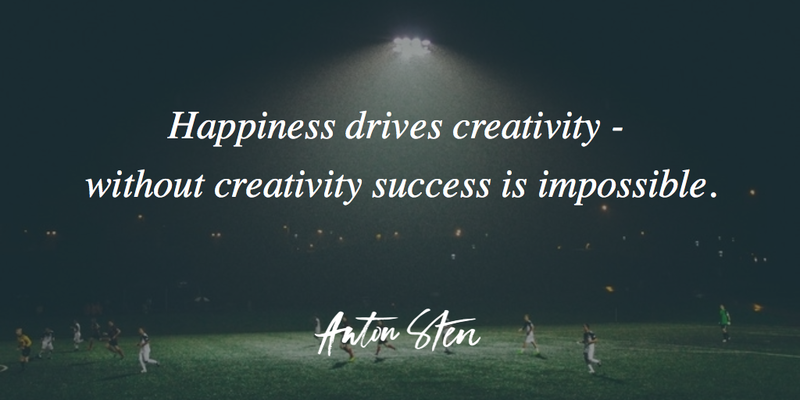 This happiness drives creativity – without creativity success is impossible. So as you can see, there are many similarities between the football and building a great product – even if the abs of Ronaldo share little resemblance with Ehrlich Bachman.